Northern Wood is a fresh crisp walk in the woods! You can smell the trees just dripping with sap and hear pinecones cracking under each step. 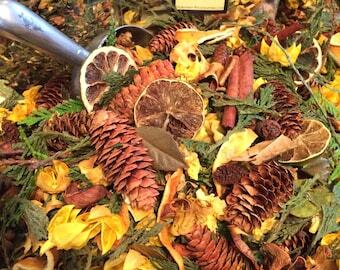 Get this fresh scent of Fir Needles and Pine cones in your home. 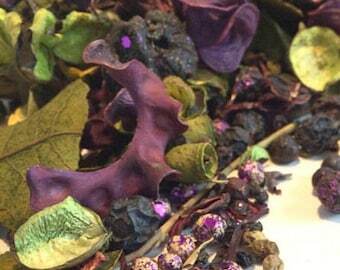 Most of these items have been Wild Harvested in the Straits of Mackinac in Northern Michigan. 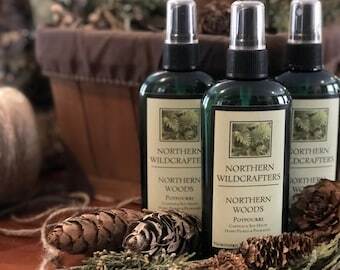 Experience our fresh pines & cedar forest scents. PS. buy lots of this so I can go back to the cabin and harvest more!!! 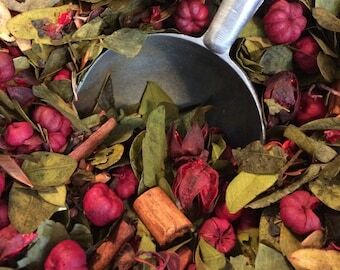 ** Since we wild craft these fresh dried potpourri, each small batch is a little bit different depending on what we stumbled upon in our last hunting and gathering trip. 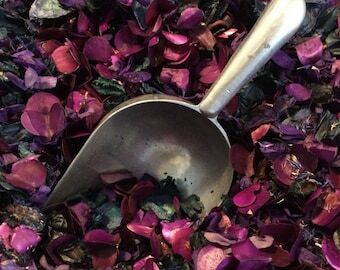 But be assured we blend with intention and preserve the highest quality blends available. WILDCRAFTING- The art of Harvesting uncultivated plants for food or medicinal purposes, from the wild or in their natural habitats. 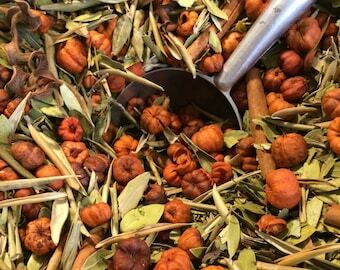 FRESH DRIED POTPOURRI- Freshly plundered, picked and packaged. 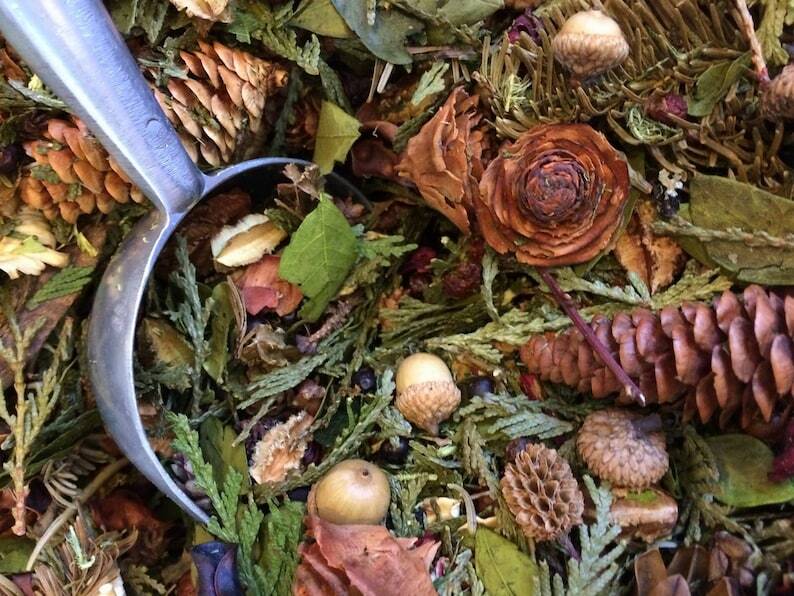 Most of our botanical blends have been locally sourced or stumbled upon in Northern Michigan. 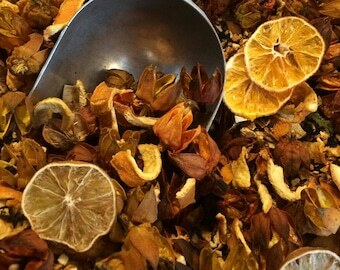 Sustainable harvested and hauled home to the studio, we then dehydrate, sort and make into wonderful natural potpourri. Hand-pack it into bags and send to our friends and fans. ***NEW JUMBO SIZE- $34.95 (+5.00 For the extra shipping expense) its almost 3 times the volume of our large size! Want to get in on the deals I offer or the limited editions, simply go to www.Widdershins.Club and there is a super surprise coupon code for you. 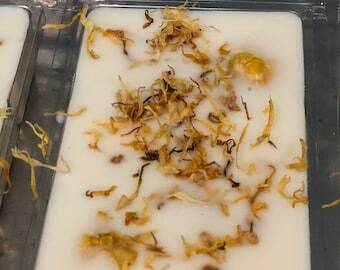 Smells divine. Fast shipping, careful packaging, just as described. Wonderful product. Thank you so much. Always a treat to order your items! Thank you so much! I love it when I go out of town and come home to my home smelling wonderful!! !